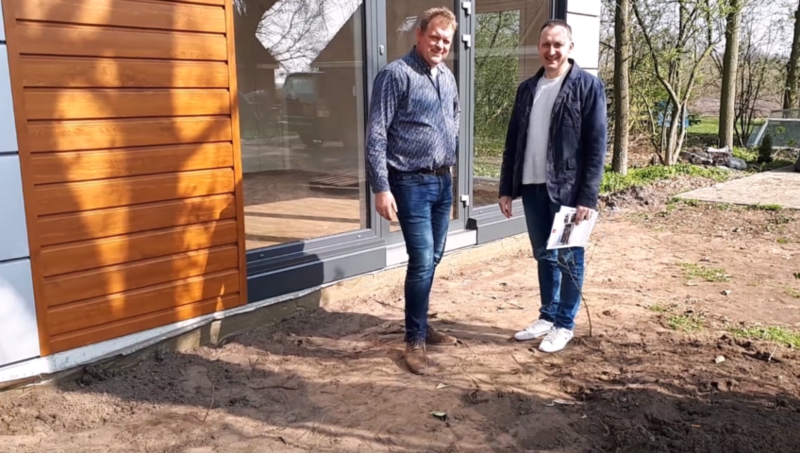 We invite you to watch the movie with a conversation with our client about the popular 6×5 pavilion in the Netherlands. 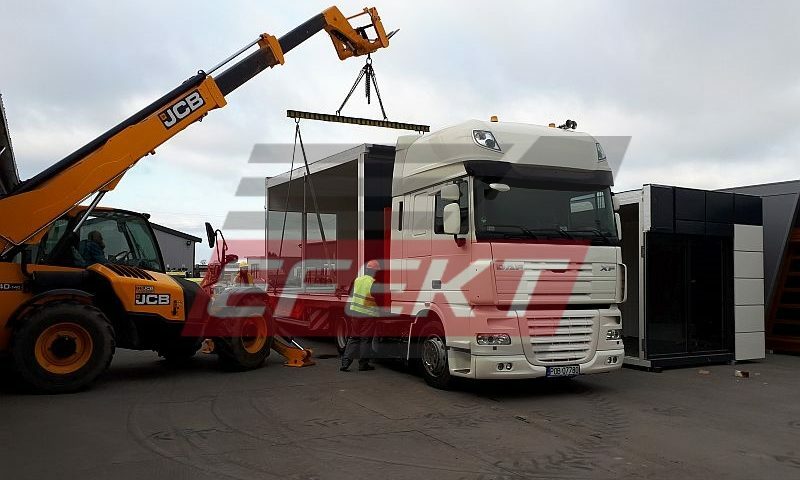 In order to unload your newly purchased modular building, we will require a crane. There are generally two crane types which we recommend using. It’s either the HiAb crane or a static crane. 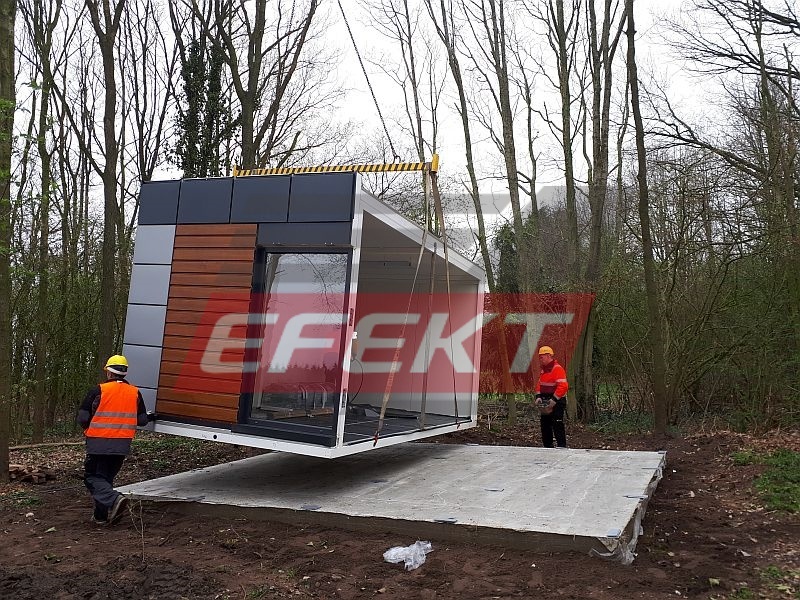 During the process of unloading, the building is lifted as a whole and set in the correct position. If the building is large, it will consists of more parts. Each part of the building is then lifted separately, placed next to one another and joined together by our crew. 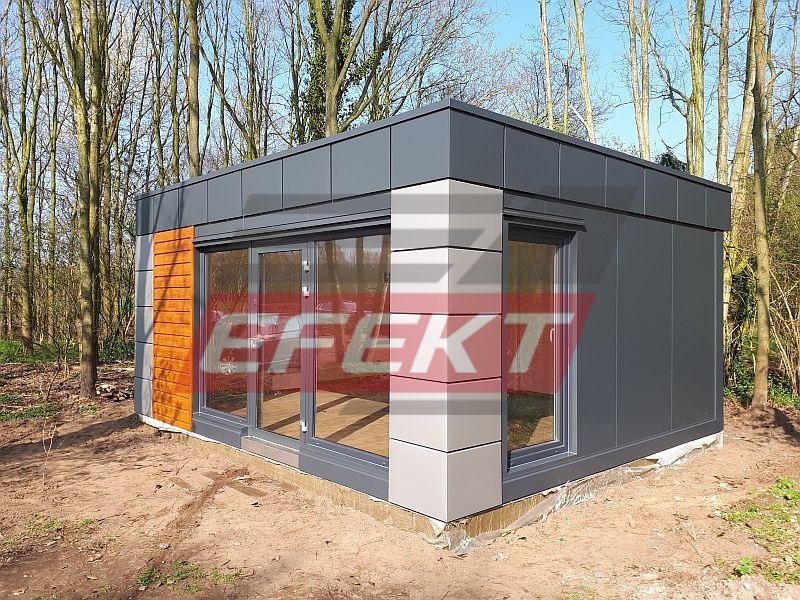 Prior to the building assembly you will be sent some information, particularly regarding the weight of your modular building. This is in order to help you choose which type of crane is required. We will always advise further if needed. 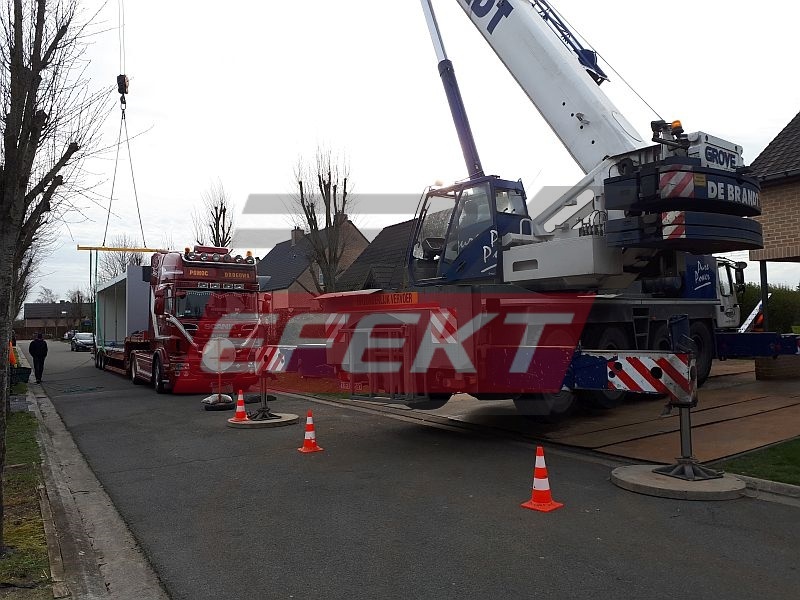 As you can see at the photo above, during unloading, a crane is equipped with a hoist lifting belt and a spread beam. 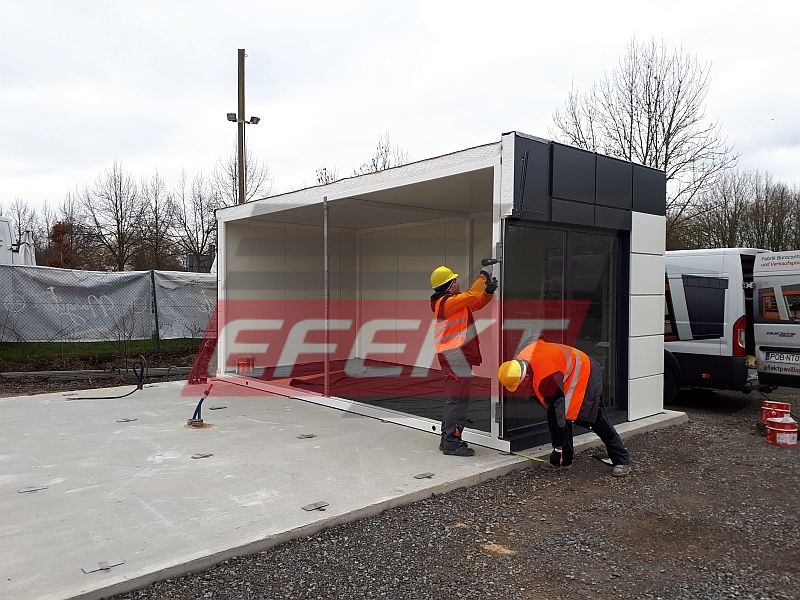 These are used together in order to lift and unload a modular building. Spread beam can be supplied by the crane company or by us in some cases. Spread beam we provide, can be used in order to lift the building depending on its weight. This beam can be used up to a maximum of 4000 kg load. 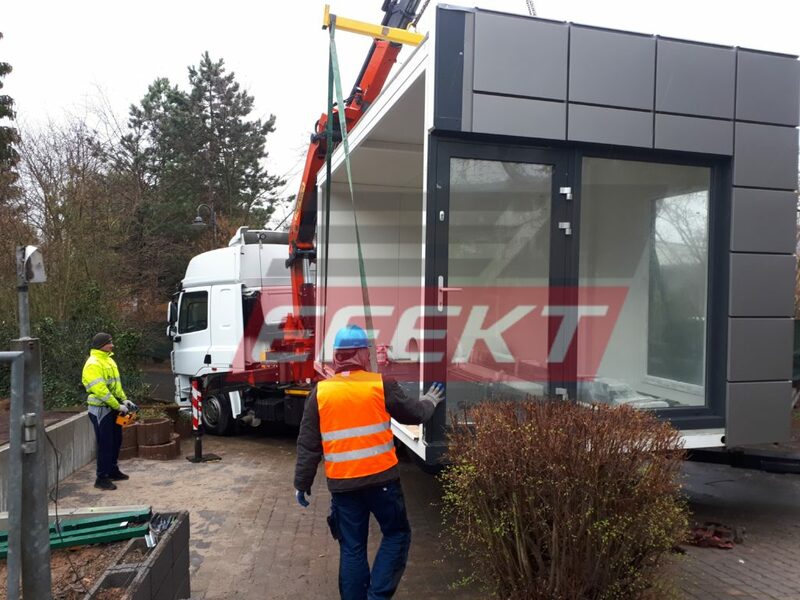 If the maximum load is higher, the modular building must be unloaded with the use of a crane company’s spread beam. Other than the need for a HiAb crane, sometimes, there may be need for a static crane use instead. Most often, static crane is required in places with difficult access. Static crane may also be needed if the building is particularly heavy or large. 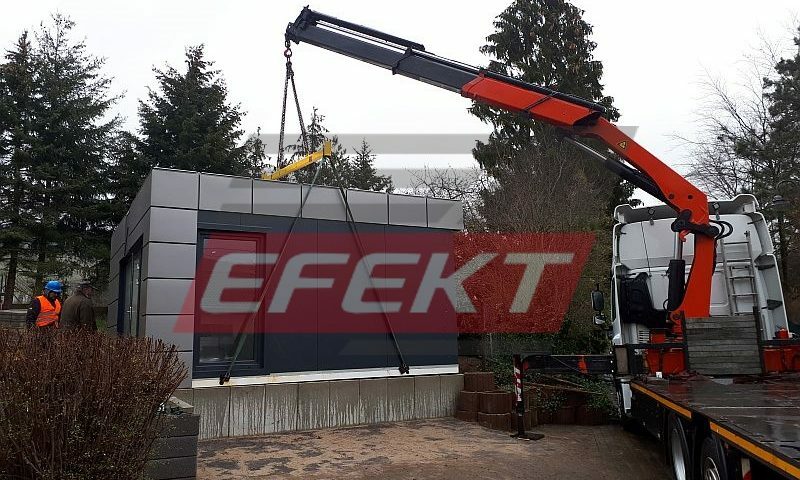 When it comes to the process of unloading, static crane, similar to a HiAb, is equipped with a hoist lifting belt and a spread beam in order to unload a modular building. The price of a static crane use is in fact higher in comparison to a HiAb. If situation requires it though, the use of a static crane may be unavoidable. 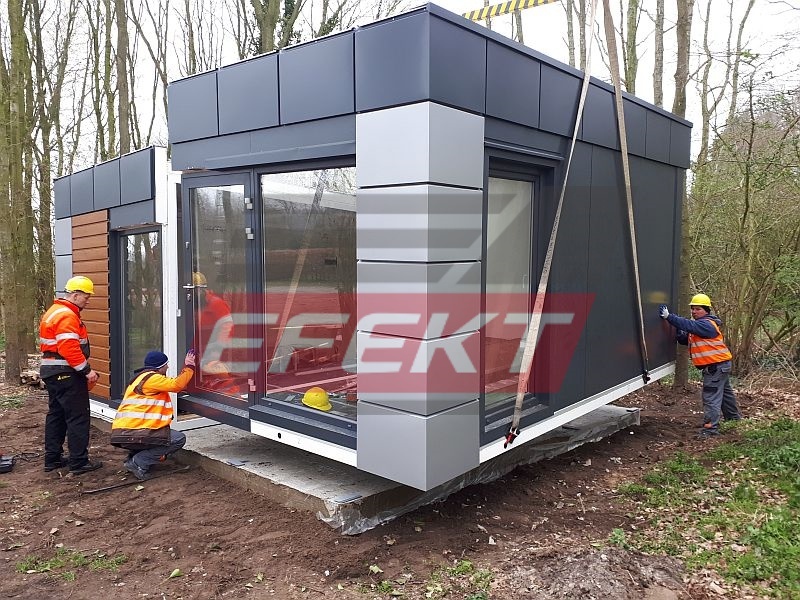 We hope that today we brought to you the process of unloading and assembling modular building a little bit closer. Below are some photos from the unloading of the 6×5 Pavilion. 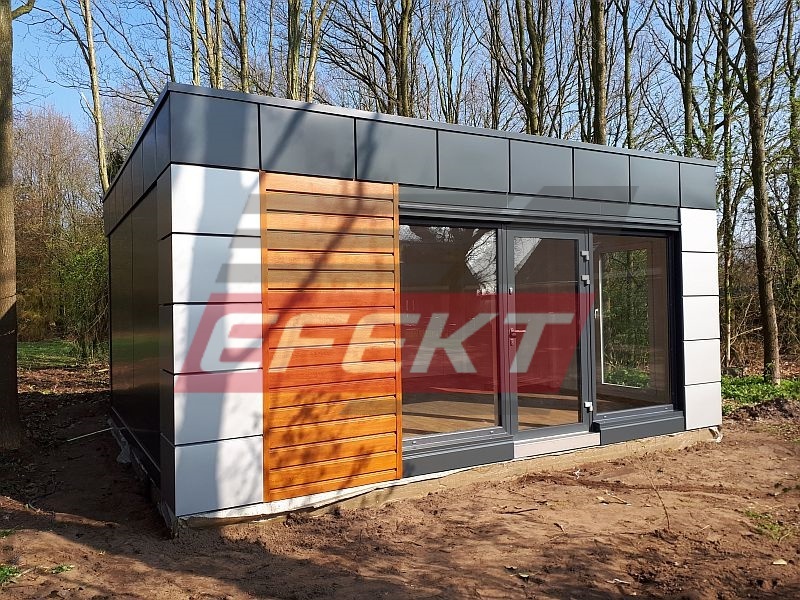 A very popular building in the Netherlands because it is our third identical modular building in the Netherlands. 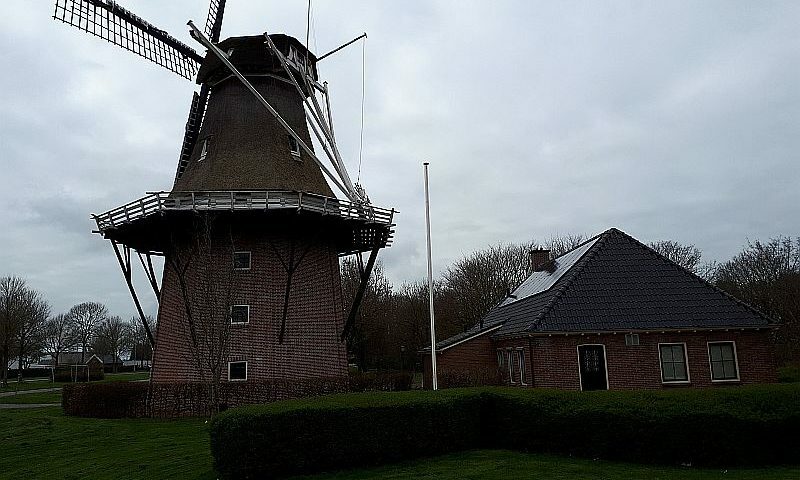 In the near future video clip and conversation with our client. 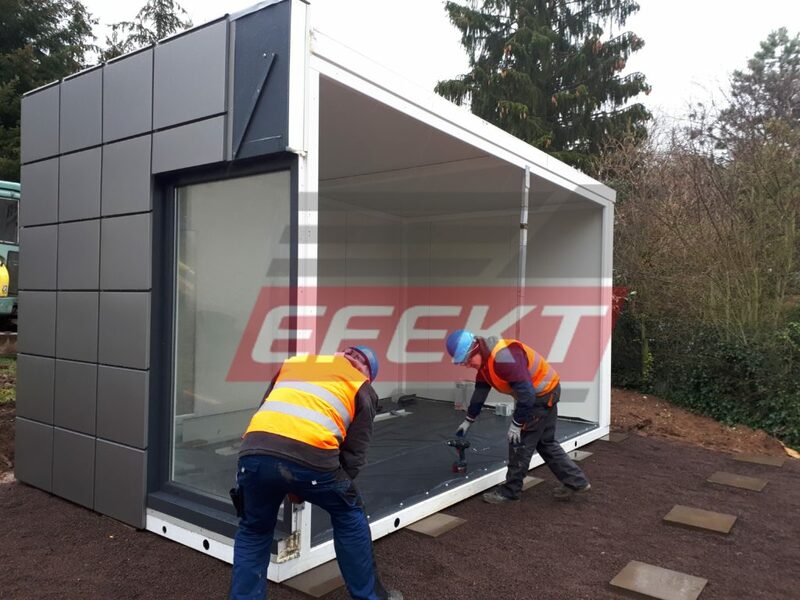 It took us only one day to assemble the pavilion measuring 8m x 6m. 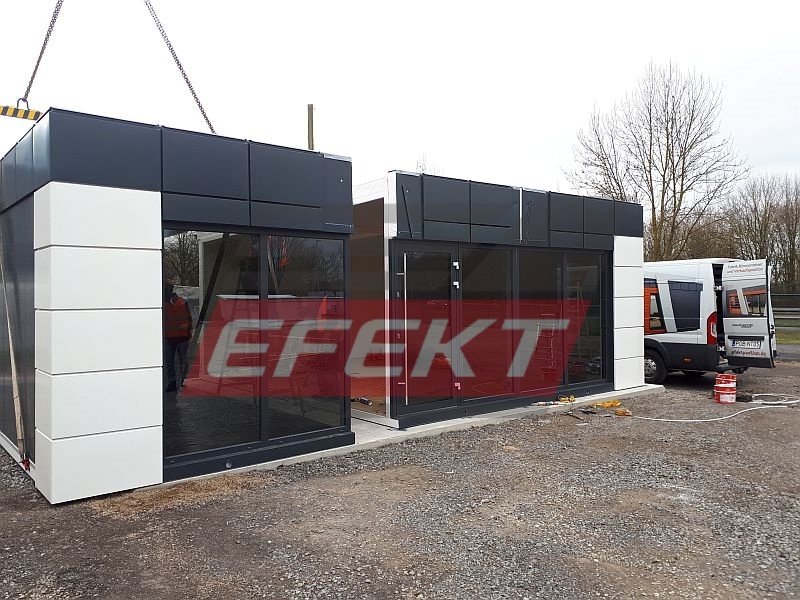 The modular building was built of three modules. Standard equipment. 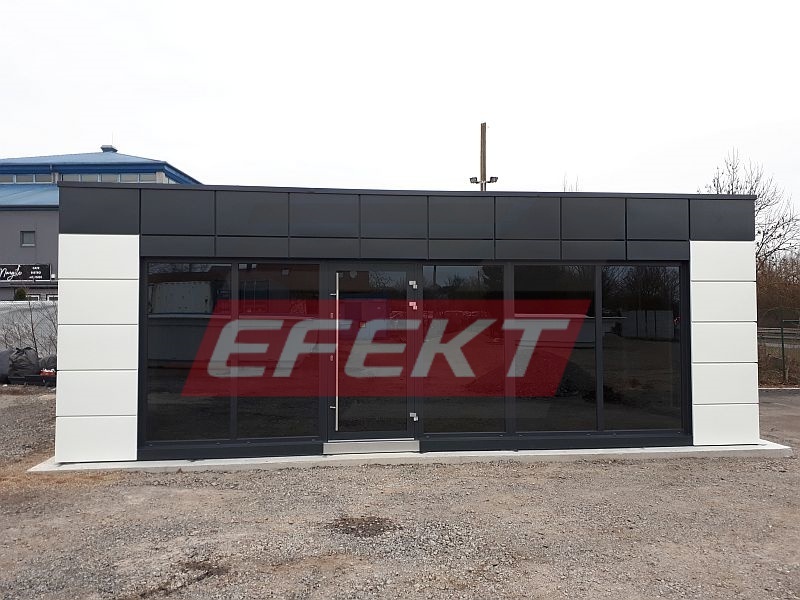 In the previous post you can see the loading of this pavilion in our company in Efekt. 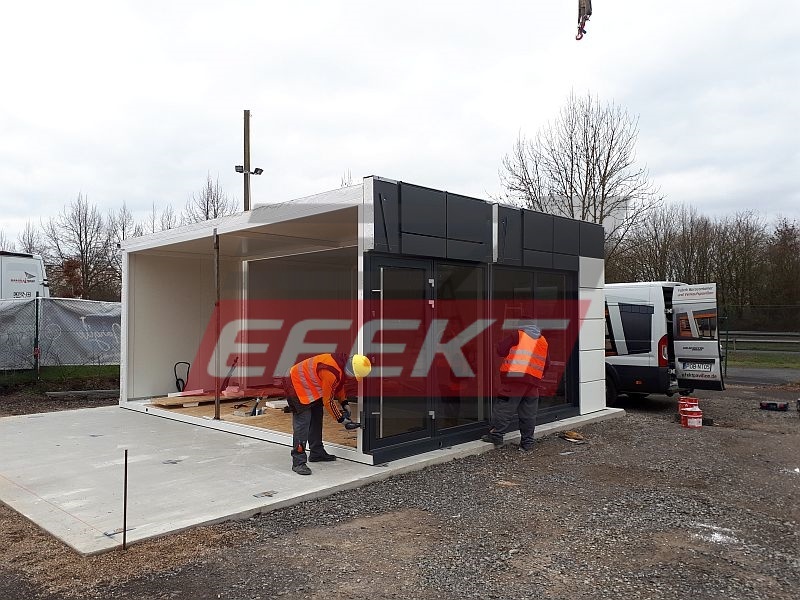 Below you can see the unloading and assembly of the portable building. I encourage you to follow the posts. 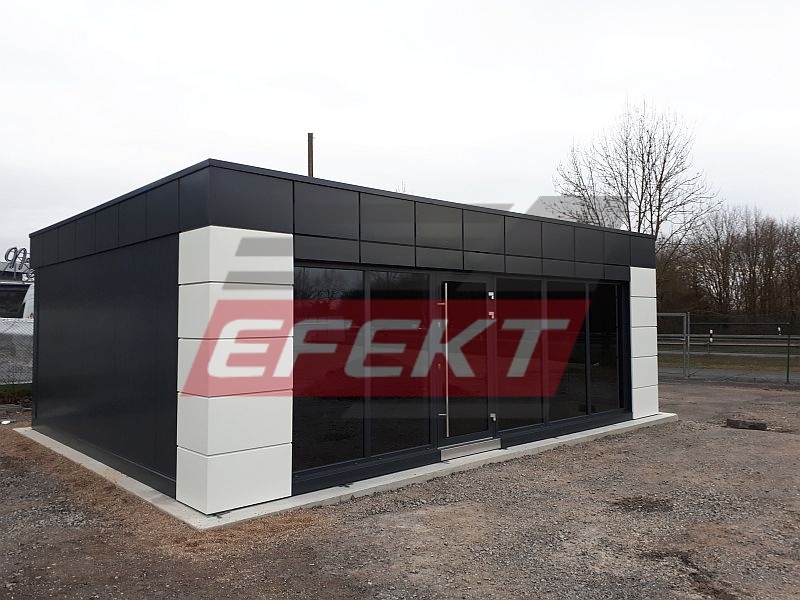 Sandwich panels are characterized by low own weight while maintaining high energy-saving parameters, therefore the sandwich panels of our production are an ideal cladding material for low-cost construction with the possibility of easy dismantling of sandwich panels and construction and changing the location of the facility without compromising the insulation parameters of such a building. The plate is mounted to the structure using self-drilling screws. 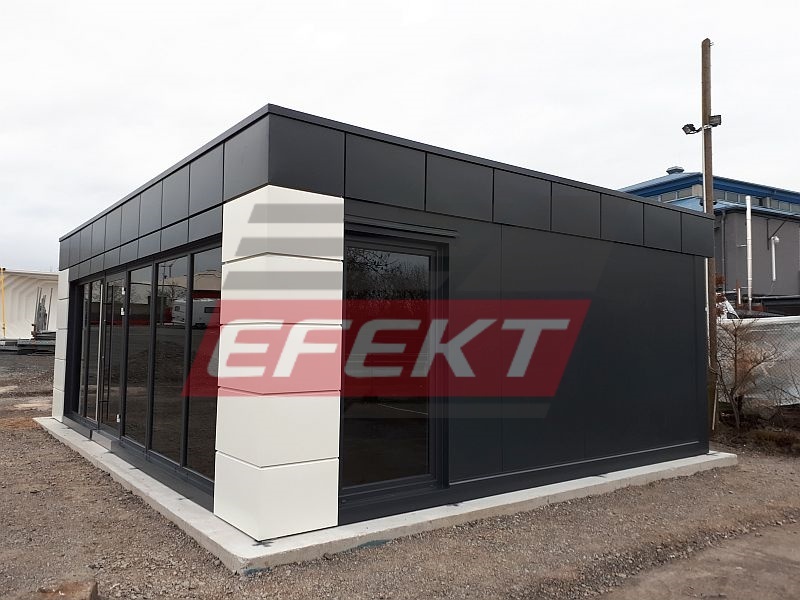 In addition, the impressive surface and color of the sandwich panels provide a wide range of architectural solutions. 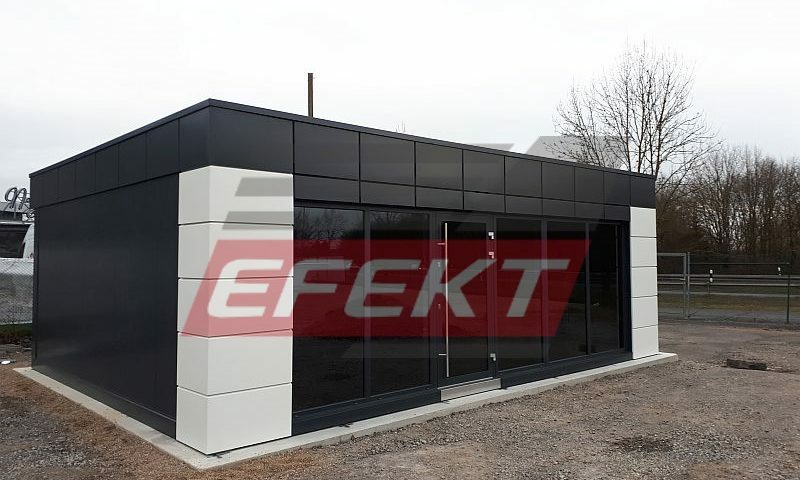 Our company, striving to satisfy all the requirements and needs posed by our client, we offer a whole range of colors of sandwich panels (all colors in the RAL palette available after additional arrangements). The standard color of the board is white. 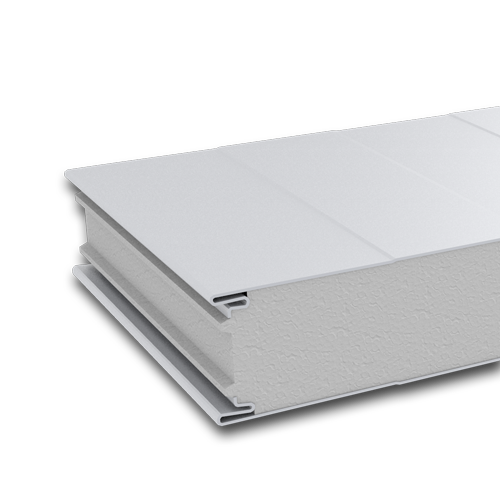 We invite you to the article: “Why choose the white color of the roof sandwich panel”. 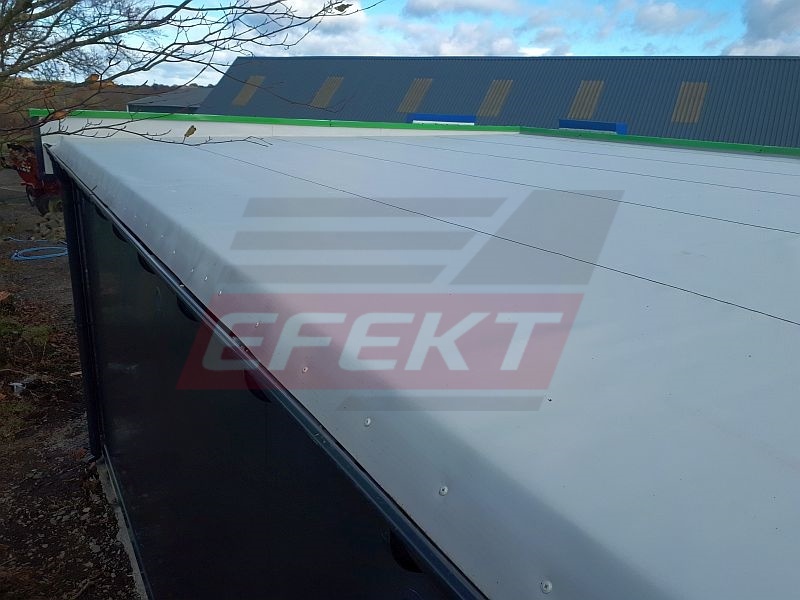 The sandwich panel is made of galvanized sheet steel on both sides. Steel sheets coated prior to painting pass the hot dip galvanizing phase. The next step is to “coat” the surface with coatings of different chemical composition. The basic coatings used for the production of sandwich panels are polyesters, polyurethane paints and PVDF. The final stage is to protect the surface with a protective film. 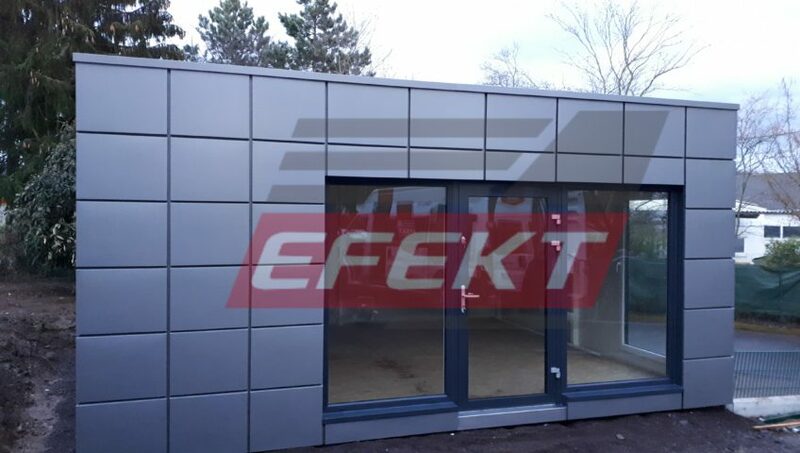 The sheet metal colors used for the production of sandwich panels are determined with the customer in accordance with the RAL color classification. 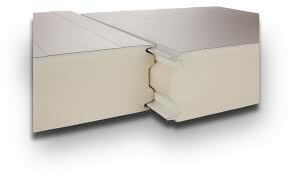 The filling of the board is depending on the needs: Styrofoam, polyurethane foam or mineral wool. 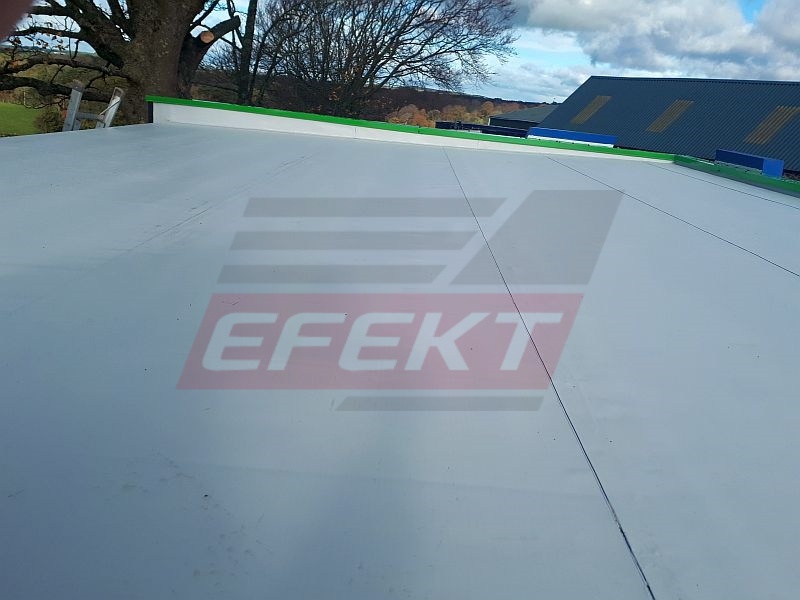 PVC roof waterproofing membranes is a product group that NBI know very well.Different field investigations as well as accelerated weathering tests in the laboratory indicate that such products may have a long service life. 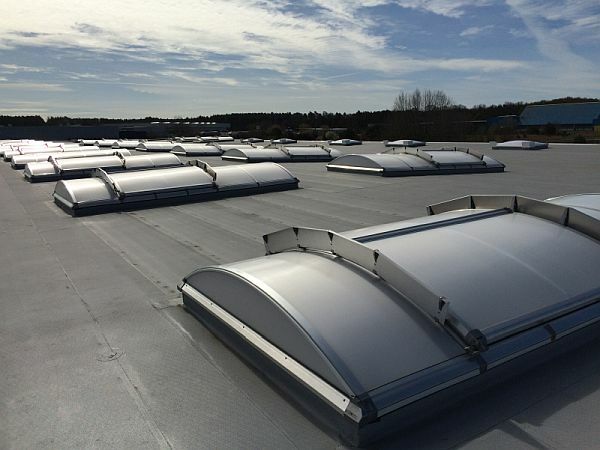 When a PVC roof waterproofing membrane hold an NBI Technical Approval, NBI expect a normal service life of at least 25 years when applied according to the producers guide and when subjected to inspections and necessary maintenance..
NBI Technical Approvals Nos 2008 and 2010 granted Protan PVC Roof Waterproofing. Membranes are based on these contracted presuppositions epectation. 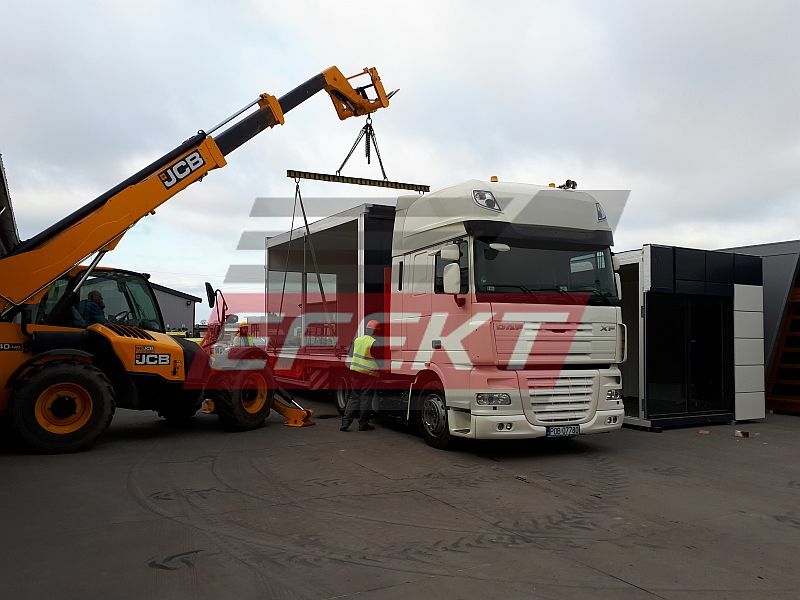 Below are a few pictures of the modular loading of the pavilion, Delivery to Germany.